The LinkedIn for Blackberry application will also be available for download from the BlackBerry App World application on your smartphone shortly. It supports the following BlackBerry models: Tour, Curve, and Bold devices running Blackberry OS v4.3 or later. LinkedIn for BlackBerry is a continuation of our efforts to help you leverage the power of your professional network anywhere, anytime. Now, you can walk into any interview, any customer engagement or client meeting with the ability to look up the details on over 60 million professionals worldwide, in real-time. Network Updates. View and share crucial business intelligence and updates with your network. Perfect for those spare moments between meetings. Search. Search across over 60 million global professionals, and get the answer back in seconds. We've implemented a unified search across both your direct connections and the entire LinkedIn network. Connections. LinkedIn is your address book in the cloud. Get quick access to any of your connections to get their up-to-date profile information, and the ability to send them a message immediately. Invitations. Why wait to get back to your desk? Accept outstanding invitations immediately. Messages. Messaging is one of the reasons that BlackBerry owners love their devices, and we've worked hard to integrate your LinkedIn Inbox. Reconnect. You can't leverage your network if you don't build it. This module brings suggestions for new connections to you anytime. Now you can build your network from anywhere, in seconds. 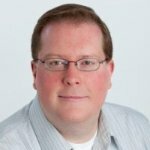 We’ve worked hard to develop an application that takes advantage of the unique capabilities of the BlackBerry platform. Based on customer feedback from the announcement at the BlackBerry Developer Conference, we spent extra time implementing deep integration with BlackBerry Mail, Contacts & Calendar, the full experience of which is now available to BlackBerry devices with operating system 4.6 or later. Contacts. 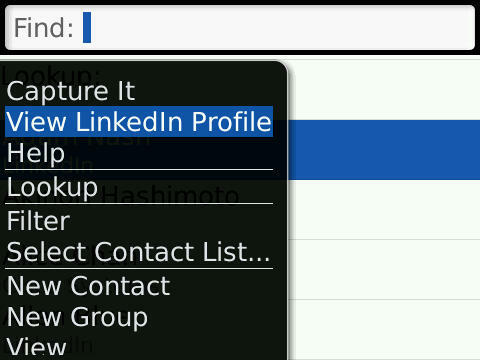 Integrate your LinkedIn connections with your BlackBerry address book, and view the profile of any contact directly on your BlackBerry. Messages. LinkedIn invitations and messages will now appear in your BlackBerry Inbox, just like any other email. You can also view the LinkedIn profile of the sender of any email you receive. Calendar. 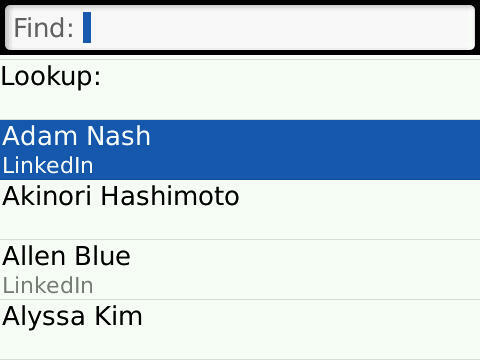 You can now view the LinkedIn profile of any attendee of a meeting on your BlackBerry calendar. Now, right from the convenience of your primary BlackBerry applications, you can easily select "View LinkedIn Profile", and view the full LinkedIn public profile for anyone. Whether it's a meeting invitation, an email, or an address book contact, you can get the information you need about someone, anytime, anywhere. The same experience is available from any email in the native BlackBerry Messaging application, and any meeting in the Calendar application. Why walk into your important business meetings without knowing who you are meeting with? The BlackBerry platform is a top priority for the LinkedIn mobile team, so expect regular enhancements and additions to the application through 2010. If you are one of our LinkedIn for BlackBerry users, please join the conversation in the LinkedIn for BlackBerry group. We’re very excited to hear from you and hear suggestions for new features and improvements. 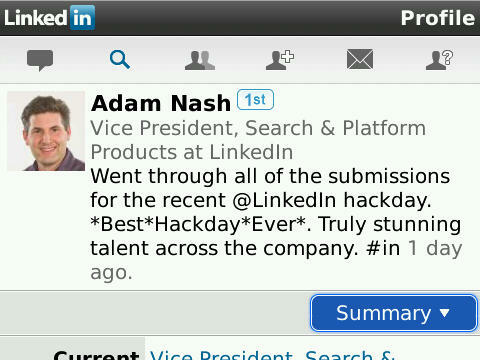 LinkedIn for BlackBerry v1.0 is live and available immediately. Get it now.